Promethazine, trade name Phenergan, has a wide variety of uses. This drug is prescribed for reasons also applicable to dogs. 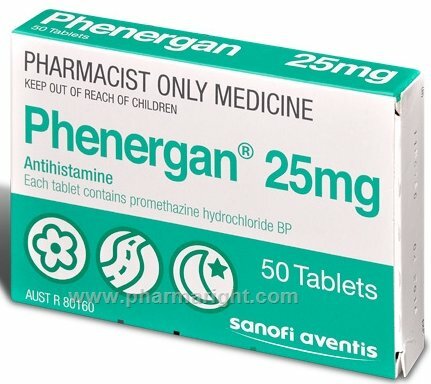 ... Phenergan works as a sedative, antihistamine and antiemetic (motion sickness treatment).